Ships within 7-10 in business days. Milwaukee Steel Platform Carts are constructed of heavy gauge steel. 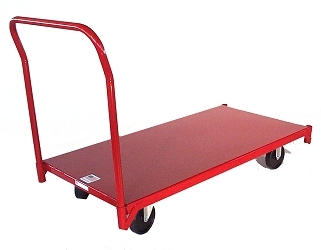 The Milwaukee steel platform cart is great for transporting oversized heavy items. 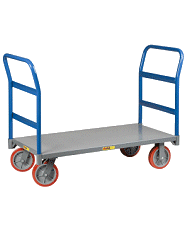 The platform cart can be used by stocking and warehouse personnel for transporting goods. The removable handle makes it easy to store out of the way and take up less space when not in use. Milwaukee... the name the pros trust! Platform Size (in x in): 30" X 60"